Sutter Capital Group acquired the 55,000 SF mismanaged but very well located retail center in the high barrier to entry Lake Tahoe market directly from a lender. The property is strategically located at the intersection of Highways 50 and 89 at the entrance into South Lake Tahoe and implemented an ambitious renovation program to reposition the property from the increasingly stale factory outlet format (the property was previously known as the Factory Shops at the Y) into a lifestyle oriented center more aligned with the shifting retail landscape. The comprehensive renovation project is comprised of distinctive new mountain-contemporary building façade design, environmentally appropriate landscape design improvements including an on-site water retention basin system, new elevated tenant storefront and monument signage, enhanced bicycle and pedestrian access and the construction of a 4,000 SF communal outdoor plaza complete with fire pits, an elevated stage and imbedded snow melt system. 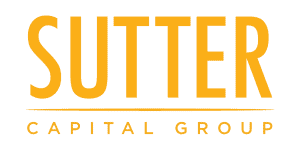 The renovation work was completed in early 2017 and Sutter Capital Group is in the process of leasing the project. For more information please visit our website at crossingattahoevalley.com.